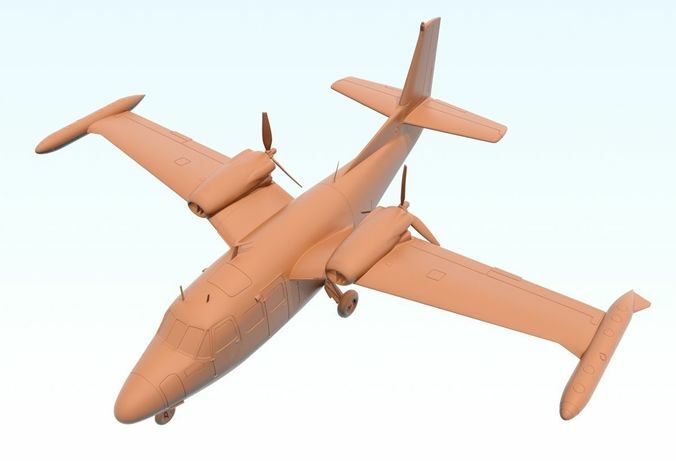 Piaggio P166s Albatross - Maritime Reconnaissance Aircraft as used by South African Air Force Accurate 1:72 scale aircraft model. Wingspan 204mm Length 163mm Height (gear down) 73mm Optimised for resin printing with DLP/SLA resin printers. Contains all parts to produce a model with landing gear up or down( choose fuselage). Includes Stand. The plane has been split up to print within the build volume of the Anycubic Photon (115 x 65 x 155) The model has been hollowed. Suitable venting and drainage holes are incorporated into the model. This model requires that supports are used for printing. The print shown in the sample images at 1:72 scale required approximately 55-60ml of resin.